Cuddles of Luv . . .: Time for a little SPLASH! Hi all! Sorry I've been lagging with my blog lately. Have been dealing with some annoying health issues... cant wait to get it out of my system! am waiting for some lab results, wish they would hurry it up...I've got to get back to my "normal" life!! LOL! 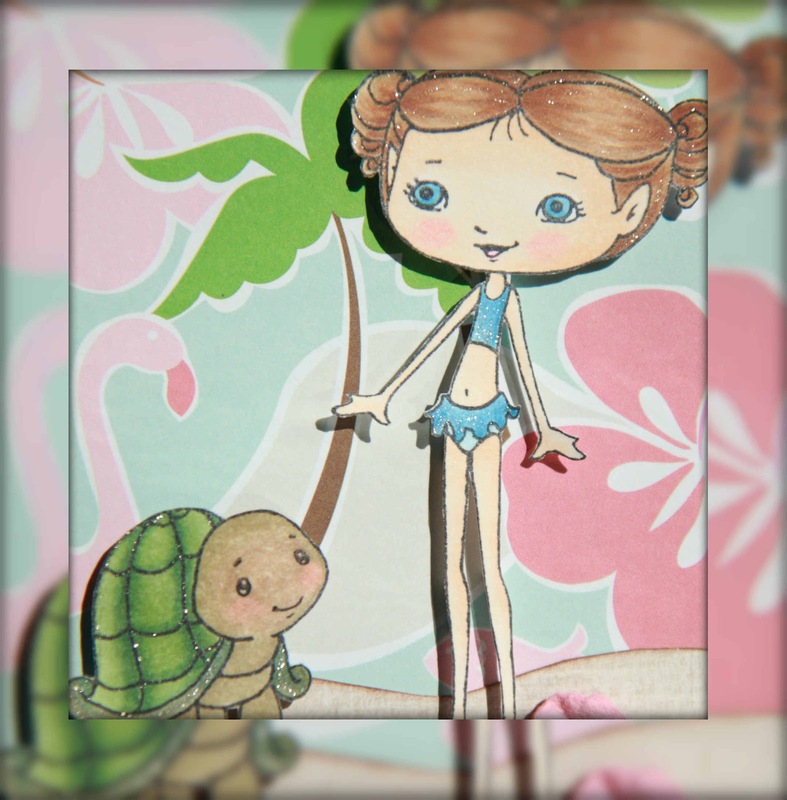 So here's the card I made for Lollipop Crafts Ch #81... MAKE A SPLASH!!!! Sweet November's Penelope and Shelly are lookin' ready for the warm summer... I can't wait too! Been having really strange weather patterns here in California... warm, hot, cold, windy, and even possibly rain today! okay, lite showers, but come on... it's Memorial Day weekend! Time for nice WARM summer weather please!! How cute ! a very sweet card. 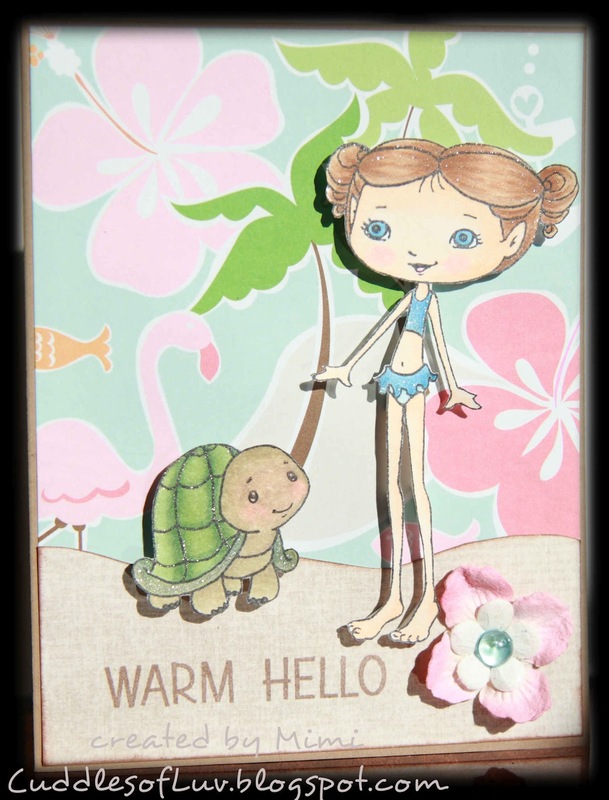 Thanks for playing along with us on Cute Card Thursday this week. Very fun scene and great colors! Hope you're all better soon!